Experience Montana at our secluded guest ranch in the middle of a million acre pristine wilderness just north of Yellowstone Park. Wild and remote, we provide a different kind of vacation spot, the best in western hospitality and mountain wilderness experiences. Small in size with emphasis on a personal touch with guests, our wilderness ranch offers a variety of unique activities. Horseback riding is a fun way to explore the beautiful mountain terrain around us. Enjoy an unspoiled environment from the back of a horse. Qualified wranglers, good horses, and unique mountain trails excite horseback riders of all ages and abilities. Get matched with your horse for the week. With one mile of catch and release river frontage, Blue Ribbon fly fishing on the Boulder River exists where parts of 'A River Runs Through It' were filmed. We provide a guilt-free family vacation, where some family members fly fish, while the rest experience other ranch activities. Hiking to scenic spots interests many outdoor enthusiasts. Our 4x4 jeep trip to a ghost town, gold mines, and a glacier lake, a scenic boat float down the Yellowstone River, and evening cookouts and campfires round out a full week of wilderness experiences at Hawley Mountain Ranch. 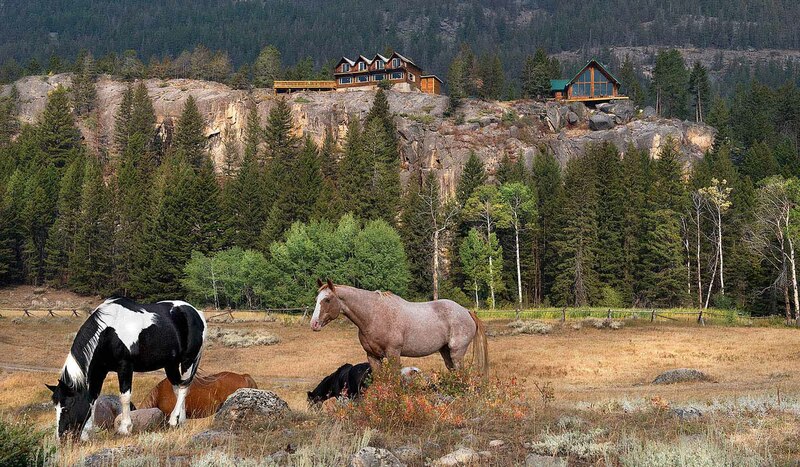 Hawley Mountain Ranch is a small ranch tucked away in the beautiful mountains of the Absaroka-Beartooth Wilderness. After a week of enjoying exceptional wilderness areas and interacting with others, you'll take away new experiences and long-lasting friendships. Come and have a fun and safe vacation with us.